Prosecutor's Office of Odessa region confirmed yhe information. People's deputy Oleksiy Honcharenko was kidnapped by unknown individuals, Odessa web outlet Dumskaya, associated with the deputy, reported on 23 February. Local prosecutor's office has later confirmed the information. The details of the incident are not known. 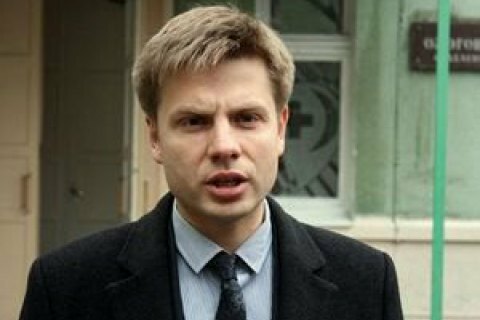 MP Oleksandr Bryhinets on his page in Facebook said that Honcharenko left for Odesa in the evening of February 22. "Last night, MP Oleksiy Honcharenko went to Odessa for an urgent meeting. He was not in the parliament today... He is not answering the phone... The prosecutor's office confirmed that the most likely version is kidnapping," wrote Bryhinets. The head of the Petro Poroshenko Bloc faction Ihor Hryniv stated in parliament that the prosecutor of Odesa Region Oleh Zhuchenko confirmed the information about the Honcharenko's kidnapping. PM Olha Chervakova of the BPP referring to Prosecutor-General Yuriy Lutsenko said that Honcharenko is believed to be kidnapped by a group of separatists. Recall, February 9, the Prosecutor- General's Office opened criminal proceedings on charges of hooliganism against Honcharenko, who has painted a fragment of the Berlin Wall in front of the German Embassy in Kyiv. Parliament backs amendments to "Savchenko law"
Industry grew over 5% in Jan.